Eight eco-friendly products to consider. These products are not only good for the environment but also cheap and are very useful in our daily lives. Take part in saving our planet Earth. Have you heard about non eco-friendly materials helping the eco-friendly cause? No right. Re-Kånken is an interesting product. It is made up of 11 bottles of plastic. People say the use of polyester is affecting ecological balance but here it is aiding in increasing the eco-friendly material. 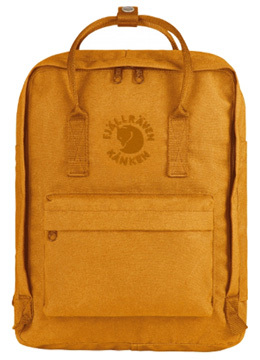 These bags are good looking with two pockets on sides and a front zipper pocket. They use spin dye process. It is a technology, which will reduce the use of water, chemicals,and energy. You can even recycle and reuse it. By doing this, you are saving your natural resources. What keeps the ecosystem in balance? Forest right. What makes a forest? Tress right. However, where do trees come from if we keep on chopping them? You know what, it takes 20 to 25 years for a tree to grow to its fullest and we bring it down in seconds. Many people want to assist the ecosystem but they cannot find enough time. However, wewood watches helps you to do that. If you buy a watch then they will plant a tree. They use wooden belts. They use only scrape wood. Therefore, they save natural resources, energy and assisting in ecological systems. These eye wear use wood for rim and frame. They are the pure wood of bamboo, mahogany, lacewood, zebra etc. these are not only eco-friendly but also helps to restore balance by reducing gas emission in the atmosphere, as wooden designing is eco-friendly. They contain hinges, which are spring loaded and polished frame. The coating is also good and it is sweat proof. As we, all know polished wood looks better than metals. The wood is lightweight, so it will not have straining effect. It is an eco-friendly lawn mower for your lawn. All you need to do is set it and leave it. It will complete its work automatically. However, how is it eco-friendly? You can control it through your mobile app. You can get its precise location using GPS. It sounds alarm when work is done. It does make any kind of sound during lawn mowing. It cuts grass evenly and the glass can be used as a perfect fertilizer. It consumes less energy and makes less noise. Hence, it is a great eco-friendly product. A food companion under the sun. In recent years, every big company is spending tons of money on energy resources and techniques to save energy. 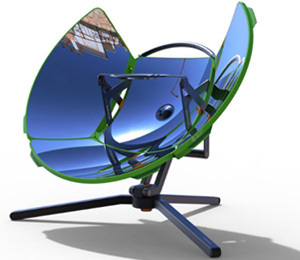 This eco-friendly, energy saving, the organic cooking solar device is a great invention for sure. You can cook all kinds of food and boil water in it with its solar radiation concentration panels. It will save your money as well. You can cook and have a party under the sun. It is recyclable, easy to use and clean. It does not create any kind of pollution. The primary factor is it saves your money and government gives tax incentive on the solar product. 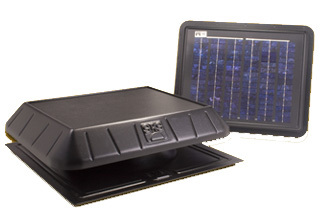 This solar fan will save 30 percent of the cost by reducing energy consumption. You know what; this fan will remove all the heat particles from your house and keep it cool without leaking thermal energy. Therefore, it is good for your health, for your pocket and the environment. They do not create noise pollution. If you want to save energy for your kids then consider solar fans. Have you heard about the Vinyl billboard? Do not worry if you have not then you have seen but you are not aware of it. Many billboards use Vinyl components. They create a lot of junks. Recycling helps but dying and treatment process creates ecological problems. However, RAREFORM has other plans. They turned these vinyl boards into beautiful looking bags. They have wallets and duffel bags. They are durable, produces less toxic gas and can be cheaper. Overall, they are eco-friendly in some way. A very cute yet effective idea. If you have an Android or iPhone then you must try these. These are eco-friendly acoustic energy free speakers for your mobiles. Even they have handcrafted paper bags for your use. They use bamboo sticks to produce acoustic sounds without using any energy. It saves energy and emits smooth amplified sound at very less cost. The resonating ability of bamboo is good. Therefore, you will hear clear voice and music output. Bamboos balance carbon and oxygen in the air. They have the high tensile strength and can fight the global warming. If you really want to balance the ecological system then invest your money in eco-friendly products. At first, they may cost more but in the longer run, they save, you lot of money. The change should start from you, not from your neighbor or government.